Yay! It’s a First Friday Giveaway! Pete the Cat is back! Yes, this easy-going furball is once again part of our monthly first Friday giveaway. I mean who can resist Pete the Cat? Along with an adorable plush Pete, this giveaway includes a compilation storybook featuring three of the feline’s adventures and a Mailbox tote stuffed with a fun assortment of books and back-to-school surprises. If you’d like to enter for a chance to win this “purr-fectly paw-some” prize, just leave your answer to the following question right here on the blog no later than Sunday, August 12, 2018. When did you know you wanted to become a teacher? I forecasted my future in third grade, however, I was a sophomore in college before I knew for sure! Congratulations to Kim B. of Spark, Nevada, the winner of this month’s First Friday Giveaway! Pack Your Bags: You Could Win a Resort Vacation! When I was 15 I worked at a summer program with multi handicapped children. I loved this job and continued my education in Special Education. I always knew I wanted to work with kids but it was my freshman year in college that I realized I wanted to be an Early Childgood Special Education teacher. I used to always work at summer camps and afteschool programs starting at age 12 and just had a natural back for it. I truly love what I do. When I lined all my dolls up and thought how nice it would be if they could say the alphabet I was trying to teach them. I was four. I’ve known since I was a child that I was going to be a teacher. I used to play school when I was a kiddo. So fun! Thanks for the sweet giveaway! For as long as I can remember, I’ve wanted to be a teacher. I had a wonderful 4th grade teacher. When it was time to apply to college, I knew I wanted to be a teacher just like her! I now teach 4K, instead of 4th grade, and would love the Pete the Cat giveaway! When I was about 8 or 9 years of age,I wanted to become a medical specialist and a teacher. I became both. I was in the medical field for 15 years before becoming a teacher. Teaching in an official way kind of fell on me as the stay at home parent to a kid who didn’t mesh with public school. I already enjoyed teaching my kids about the world, it just expanded this mutual love of learning in our house. This fall I’ll have 3 students plus a toddler, all who love Pete the Cat! It started when I was 6, showing another child how to fold, score, and tear paper instead of using scissors. I received BFA and an MFA and started teaching Adult Ed and College, Years later I decided to teach Special Ed elementary school. I always enjoyed training staff in my role in the private sector but when I had children I decided to go back to school for my teaching degree. Ten years later, I am still so glad I did! Since I was little. I used to line up my dolls and stuff animals. The were my students. I always helped the neighborhood kids with their homework. My father was a principal, so I would visit classrooms and watch lessons on days that I was off and they had school. I also helped prepare classrooms for September during the summer. It was something I had been a part of my whole life. It just seemed natural. In college for sure, although growing up I always loved school and playing teacher. When I was an addiction counselor and very single one of my clients told me “the teachers don’t care about the kids.” It broke my heart so I became a teacher. When I;was in high school. I was a member and officer of Future Teachers of America! I knew I wanted to be a teacher when I became a mother. It is very true … parents are their child’s first teachers. I loved babysitting, I loved working at a daycare when I was 17, I enjoyed kids. But when did I know I wanted to be a teacher? I knew I did not want to be a doctor. Fireman and lawyer sounded good to me as a HS senior. Now, I was headed to college and mom wanted me to become a teacher…At UCR, I was positive doctoring was not for me, most of my dorm mates were pre-med. I started tutoring and working in the library. So then reference librarian started to sound good. Still enjoyed working with kids. Then I was a senior, time to commit, and I chose teacher credential. A year later I was in the classroom. I loved working with kids. I was a teacher. Finally, 34 years later I know I chose well. Somewhere along the way I knew I wanted to be a teacher. I also knew very early on, maybe 3rd grade, but it wasn’t until my 30s I decided to grow up and so something about it! So glad I did, I’m 18 years in! I knew from the time I was about 6 years old. I would line my stuffed animals and dolls up to be my students! I didn’t know until I started college! I went on thinking I wanted to be s child psychologist but after my first psychology class I switched my major to child development and began my path towards teaching. I wanted to be a teacher since I was in first grade. In kindergarten I wanted to be a ballerina! It’s all I ever thought that I’d be! Everyone told me I would change my mind, but I never have and I couldn’t imagine doing anything else. It never crossed my mind until my sophomore year of college. I believe God spoke to me and I listened. Ever since I was a little girl. I used to play teacher all the time! When my husband & I moved to South Texas, I began working as a substitute teacher. I loved it! I went back to school and got my teacher certification. So happy that I did! I knew I wanted to be a teacher when I was about 7 years old. I noticed that the students with special needs had their classes in a different part of the school and I knew that I wanted to change that. I thought I did in high school, but went on to get an accountingdegree. I worked in accounting until having children, then stayed home with them. Now I am a preschool teacher???? After I had children, and my son had a teacher, that obviously didn’t want to be in the classroom. I decided then to return to school at the age of 37. I have since graduated and will be teaching my first full year!! I was 21 and had been through three colleges and countless majors. I worked at a summer program for our local Parks & Recreation and found my passion. I have now been an Early Childhood Educator for 17 years! When I was eight okd abd would play school with my friends and sisters. When I was in 1st grade. Ever since I was a teenager and started babysitting. Would love to win this prize. I work with children in poverty and there is not much money for supplies. From the Very first memories I have. I have always loved working with children. I lived next door to my great aunt and uncle as a child. They had a small two-step stoop on a back door of their house. My sister and I would sit and play school with our stuffed animals and dolls. Coincidentally we both became teachers years later!. I knew I wanted to be a teacher when I was working a before and after school program and a summer camp program with kids ranging from kindergarten to 6th grade. The kids I worked with made me realize that I wanted to help prepare kids to meet their goals and reach their full potential and I never looked back since! While I was in college, I knew I wanted to be a teacher when I was working a before and after school program and a summer camp program with kids ranging from kindergarten to 6th grade. The kids I worked with made me realize that I wanted to help prepare kids to meet their goals and reach their full potential and I never looked back since! Even in grade school I knew I wanted to be a teacher! I knew I wanted to become a teacher in pre-school. It’s so funny because I discovered a book I made and it had the question, “What do you want to be when you grow up?” I replied a teacher and 22 years here I am. When I visited Gallaudet University my Freshman year in college. I knew I wanted to be a teacher when I was 15. I was taking a class and as part of the class I had to observe in a preschool classroom. Seeing the teacher, Miss Val, work with the students and how much the kids enjoyed learning made me want to do that too! Id say elementary school but i was definitely set on teaching in high school. In Kindergarten ..and every single year in my memory book it says . What do you want to be when you grow up . I volunteered at a Sudanese Refugee school in Cairo one summer- I absolutely loved it!!! 16 years later and I’m teaching Pre-K in a British School and leading the entire Early Years Department! Loving life!???????????????????? I knew I wanted to be a teacher after working as a paraprofessional. I finally got my degree in 2016. When I was in Kindergarten. I believe I inherited the teacher gene coming from generations of educators in my family. I loved playing teacher all the time as a little girl. Ever since I was 4 years old playing school! I’ve known I wanted to become a teacher since I was in 1st grade. I played school all the time. Little sister to “teach” them. 🙂 My whole classroom is Pete the Cat themed, this is great! I knew in kindergarten. I loved writing on the chalkboard and being around all those books. I knew I wanted to be a teacher when I went to kindergarten. I had a wonderful teacher who inspired me for the rest of my schooling. It also helped that my dad is a teacher, so I saw the work it took from an early age. I began to say I wanted to be a teacher in kinder, but I put it into action when I started tutoring the newcomer students in fourth and fifth grade. 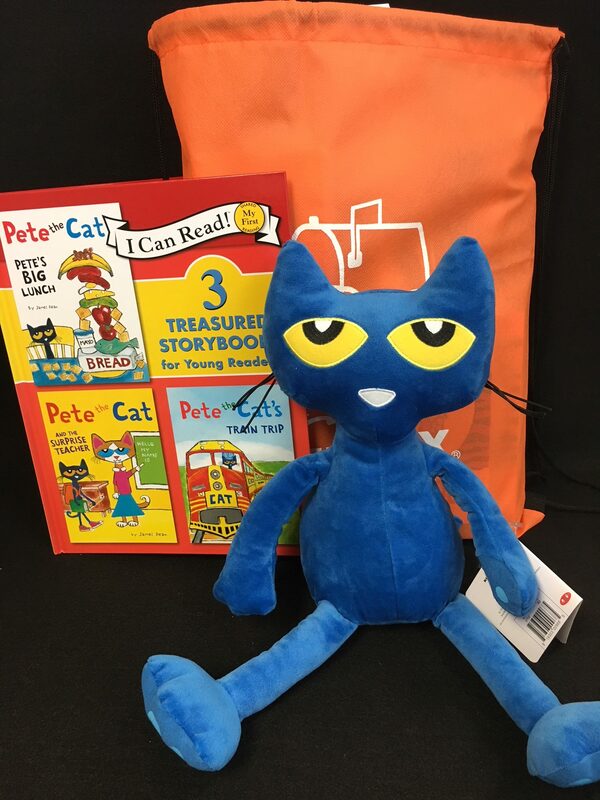 This Pete the Cat package would be great with my first graders! When I was little always wanted to teach young ones. I enjoy watching them learn new things and just to grow. I knew I wanted to be a teacher as soon as it was time for my daughter to start preschool! When I was in 2nd grade. I loved playing school! I have always wanted to be a teacher, and it never changed. When I was young I had a classroom full of stuffed animals; we went on field trips (outside), I took them to the library (my bookshelf) and they checked out books with the library card I made them, I read them books, and taught them lessons. There’s never been anything else I’ve wanted to do! Always loved working with children. I knew that I wanted to be a teacher when I was about 7 years old. My third grade teacher motivated me, inspired me and set the path for me to reach the stars!!! The child in me has never really grown up. I just love working with children because I love the point of view of the world they still hold. Everyday is always a new discovery. Being a preschool teacher just comes natural for me and I feel very fulfilled knowing I am helping our society and future. I have wanted to be a teacher since I went to school. I start year 20 in a couple of weeks. When I was in high school. Third Grade after having some wonderful teachers K-3 (Miss Solinski and Mrs. Scott ) 🙂 and bonding experience with my grandparents (both retired helped me love reading & learn my multiplication facts in 3rd grade). I wanted to be just like them! I’ve always known I wanted to be a teacher. My mom is a teacher and taught Kindergarten for awhile , especially when I was little, and I liked to imitate her. I have just always loved working and being with young children and have wanted to teach them. When I was in the first grade. I knew I wanted to be a teacher when I was in kindergarten. I never changed my mind. It was a decision that has brought me much happiness!!!! I thought I did when I entered college, but changed majors and worked in business and higher education for many years. I finally became a classroom teacher in my forties! I decided in middle school that I wanted a career in education. I loved working with kids! I was 33 when I realized something in my life was missing & I went back to college to get my license. I decided i would like to be a preschool teacher after volunteering at my daughter’s school. After graduating and having amazing teachers k-12 and teaching Sunday school and helping at camps and babysitting. My life has always been about kiddos and I love everything about it. My mother had my brother late in life and at the age of 13 I enjoyed spending time with him and helping him learn things. So I decided to become a teacher when I graduated from high school. When I was in high school and had to peer tutor kids from middle school. After I had my first child and started volunteering in the Sunday school classes at my Church. When I took a “temporary” job at a Day Care Center. I feel in love with the teaching and learning process and knew this was the field for me. I’ve been in a classroom ever since! High school & college but I didn’t fulfill my dream untill after I was a stay at home mom for 10 years. So happy I found my way back to teaching. The story goes, the first day of kindergarten I came home and told my mom I wanted to be a teacher. In high school I thought it was dumb to only have 1 goal in mind but I always came back to teacher. Here I am now and loving every minute of it! First Grade was such a fun and exciting year for me! That is what made me have the drive to want to become a teacher. I had the BEST teacher that year. Mrs. Mitchell inspired me to be and educator. She was so energetic, kind. and always willing to help and go that extra mile for anyone and anything. As I continued my education I-kept coming back to her. A teacher is what Ihad always wanted to be and hoped that I could be half the teacher Mrs. Mitchell was for me. I loved my third grade teacher so much that I wanted to be her. Starting my 24th year in a few weeks! When I was in kindergarten and my teacher was just the overall best human ever. I wanted to be just like her. When I was in high school I was in an Early Childhood trade program. I spent three days owr week in the program and two days at my high school. During those two days I worked two hours each day in the special education room at the elementary school; I chose this room. I knew then that I wanted to be a special education teacher! Well many years and pumps in the road I have finished my first year in a Masters special education program and have secured my first teaching position in a kindergarten through fifth grade behaviour classroom!!!! While on my journey Pete the Cat has been one of my main go toos working in preschool rooms and life skill programs. I LOVE Pete the Cat!!! In elementary school! My sisters and I played school all the time! I actually discovered my desire to teach as a profession later in life. I enrolled in college courses at 44! I’ve never looked back. Finished my degree and now do a job that I adore. It’s not about money, glory or power. I teach because I am completely sold on what I am doing. Educating my students it a joy and work of love! I love being a teacher. I love to watch my preschool children learn how to recognize and spell their names. One of my favorite things to do was playing school when I was in elementary school. I dreaded summer vacation—missed my teacher and classmates! When I was in second grade and loved watching my teacher use the chalkboard. For as long as I could remember! I wanted to become a teacher ever since I was a little girl. I would play school and line up all the kitchen chairs and pretend they were the classroom seats and also the seats on the school bus. When I was in elementary school! After schkool I would force my brothers to sit and pretend to be my students. I knew I wanted to be a teacher in the first grade. My first grade teacher was wonderful and I knew that I wanted to be just like her. I knew growing up that I wanted to be a teacher. I would always play school with my friends and told people I wanted to be a kindergarten teacher. I later started my career teaching K5! I’ve always wanted to be a teacher! My mom was a teacher, as was my Grandmother. My Grandfather was a high school principal. It’s in the blood!!! I have loved teaching my “Firsties” for over 25 years now, and look forward to each new batch!! One of my younger sisters was born with many health issues and multiple handicaps (blind, cleft lip & palette, needed a shunt due to extra fluid on her brain). She never walked, talked but was so lovable. This was 1972 & all almost all of her doctors told my parents to institutionalize her, except one doctor who said “you could take her home and love her”. That’s what my parents did. She never attended school in her 18 years of life, but received homebound instruction from 2 different dedicated teachers for 16 years (starting when she was two). At 10 years old until I graduated, I would help my sister’s teacher work on her grasp, roll over, and experience sensory input (put fingers in a rice tray). After I had left home, my other sisters took over helping the homebound teacher. This service became so innate in us, it only seemed natural that we grew to be a Special Ed teacher, an occupational therapy assistant, and care staffperson at a residential home for adults with neuromuscular disabilities. Our sister, Sharon, was our best teacher. We’re just following her example. I have known that I wanted to be a teacher since I was five years old. I have always “loved playing school and being the teacher”. This is my 27th year working in the field of early childhood education. When I was a little girl, all my friends wanted to grow up and be teachers, but not me. I wanted to be a spy. As I progressed through school, I was told that I could be anything that I wanted to be. I had an aptitude for science and math so I was encouraged to be an engineer. I was the only female in several of my classes but that didn’t bother me. I got my engineering degree, got an engineering job, got married, and soon became pregnant. Since we were both engineers working long hours, we decided that it would be best if I stayed home to raise my daughter. I immersed myself in the role and read many books on parenting. As she grew, others asked me to watch their children because of how good I was with my daughter. Then, they asked me to teach children at church. I found out that I was good at it and I enjoyed it. I got a job as an assistant in a preschool. Again, I was asked to teach because of how well the children responded to me. I have been teaching preschool for 18 years and I am so much happier than I ever was as an engineer. I wanted to be a librarian since elementary school. I switched to teaching junior year of college after taking a teaching reading course. I love being a daycare teacher. Always loved playing school growing up. In elementary school-great teahers who inspired me to become a teacher too. My sophomore year of college an instructor said I would be a good teacher. I applied to an education college and am so glad I did. I have been teaching for 14 years and I love it. I have wanted to be a teacher since preschool! I’ve always loved school and learning. I used to come home from kindergarten and “teach” my baby brother, and I would always bring my teachers’ left over worksheets home at the end of the school year to “teach” over the summer! When I was a little girl and played “teacher” all the time with anyone who was younger than me and would sit and listen! Pretty much always. I would talk my little sister into playing school during weekends and over summer break, and of course I was always the teacher! When I was about 8 years old, I wrote an essay about what I wanted to become as an adult. I thought I’d be a 1st grade teacher. I even specified why I thought first grade was the best. I am now a preschool teacher. My grandparents picked up some old textbooks at a garage sale and i used them to play school with my younger brother and sister. 😉 People have always told me that I would be a great teacher, but I didn’t feel that was the best choice for me. I ended up changing my major several times in college, graduating with an unrelated degree, and staying home with my daughter until she started school. When I went back to work I wanted to do something that I was passionate about. I worked as an aide at my daughter’s school and decided it was time to get my teachng degree. I found a program that built into the degree that I had and the rest was history. I feel like it has been a lifelong journey, but it has made me an even better teacher! When I was in grade school, I always said I wanted to be a teacher. I strayed for a while under pressure to choose a better-paying job, but found my way back 6 years ago. Coming from a family of teachers, it was not surprising that I decided to follow their footsteps. However, I needed a little extra time to finally figure out it was the right fit for me. I went back to school after I had my own children and found that I really enjoyed working with the little children. Always! My dad called me the pied piper of little kids when I was just a kid! HUGE Pete fan! What s fun giveaway! ???? I wanted to be a teacher like my Aunt Jana. I have always enjoyed being around kids. I was a Sunday School and VBS teacher at a young age and my first jobs were working at day cares. I never considered another occupation, I knew I was called to teach. I will begin my 24th year soon. My pre-k class would love this Pete the Cat give away! My mom was a teacher, so I thought about it from little on, but finally decided for sure during my sophomore year in college after working with little ones in a city recreation program. I knew in kindergarten that I wanted to be a teacher! Honestly, it was late in life. When I was in elementary school I wanted to be a princess lawyer; then in college I thought about social work or archaeology or art historian (random, I know). Eventually I settled on wife and mom, but when my oldest son was in elementary school, we made the decision to homeschool him for several years and then I realized that was the direction I needed to go. I haven’t looked back and absolutely love my job teaching. Ever since I was in 2nd grade and had a wonderful teacher named Ms. Mebs. Went from babysitting in high school to working in daycare centers while in college to owning my own daycare, and back to school ( masters degree) to become a school librarian. I think I always wanted to be a teacher. For a while I strayed away from education but it was inevitable! I realized that I wanted to be a teacher while working as an assistant. Not until many years later,did I go to school to become one, and its the best job ever! I think I always wanted to be a teacher. I started babysitting at twelve years old. I even volunteered at our local parks and rec. preschool program in high school. When I was 5. I would come home from school and teach my younger brother everything I learned that day. Starting at age 13, I was the neighborhood babysitter. I always enjoyed it and thought maybe I would be a teacher one day. Then at age 16 I started working in a retirement home serving dinner to the elderly. I quickly realized that working with the elderly is similar to working with young children. I came to the realization that I would rather be a teacher and work with children. It wasn’t until I minored in education in college that I decided I wanted to become a teacher! It’s the only thing I’ve ever wanted to be. My calling was solidified as a teenager when I helped with a smaller kids class at my church’s vacation bible school. Kids have always been drawn too me, and I love working with them. When I was maybe 7 or 8 and I would make my younger brothers play school with me. I am starting my 31st year of teaching and have been in education my whole life except for the first 5 years of my life. I still get excited about school starting!!! I remember creating homework sheets and grading papers when I was probably 8 or 9. I’d line up my dolls and action figures to teach adding on the easel. It’s pretty cool that I see my kiddos doing the same thing! I guess I knew it when I started volunteering in my children’s classrom. After I lost my daughter at the age of 4 in a house fire. I then realized that working with children around her age eased the pain in my heart a little more each day. I still miss her and think about how she would react with the children in my classroom. The kids are very sensitive and ask questions when I talk about her or show them her picture. The funny thing about my teaching and where I am teaching is that the teacher next door to my class is the same teacher that taught my daughter in Head Start and my bosses Mom taught my daughter in Sunday school. I loved my first grade teacher, Miss Dolly, and wanted to be just like her, so I guess I decided to become a teacher when I was 6 years old. My 5th grade teacher was such an inspiration to me! I wanted to be like her when I grew up – caring, creative, helpful, influential… That’s when I knew that I wanted to e a teacher. My mother always told me I should be a teacher. It took me until the age of 40 to admit that she was right. So I earned an MEd and taught for over 20 years. Loved (almost) every minute of it! What a thrill to share the times when the lightbulbs lit up! What a joy to share those moments. When I was 6. My cousin asked me what I wanted to be when I grew up. I first said, “A Sunday School Teacher” but then changed it to a teacher when they explained you didn’t get paid to be a Sunday School teacher. When I was in jr high. I think it dates back to when I was in kindergarten or first grade and after Sunday school, I would come home and play outside with my brother and teach him the lesson again. I always knew I liked working with children but when I started working at a daycare after high school I was sold. When I was playing school in the basement with my elementary friends. Prior to college I wasn’t sure again, but after one class and observing in a classroom I knew I wanted a classroom of my own! I wanted to be a teacher since I was young. I played school all the time and even made my younger brother be one of my students! Looking back at pictures from my childhood, it looks like I have always wanted to be a teacher. However, it wasn’t until I began subbing while in college that I actually realized how much I wanted to be a teacher/librarian and began pursuing my dreams. I’ve wanted to be a teacher as long as I can remember. My sister and I played school way back in elementary school! I loved being the teacher! Then and now! Watching my mom teach college level mathematics. I knew i wanted to be a teacher just like my mom. I think i was one 3rd grade. I always loved kids, but didn’t know I wanted to be a teacher until my sophomore year in college. I’ve worked with children since I was 15. I tried different avenues but everything I tried, I always came back to teaching. I finally got serious about it around age 21. My mom is a teacher, too, so when I was 5 I told people I’d be a teacher, and I am! I knew I wanted to be a teacher when I had amazing 4th and 5th grade teachers who made learning fun. I wanted to do the same. I was under pressure to declare a major. As I was finding my way, I helped my stepdad get ready for another year of school. I had the thought, “I could do this.” I went with it. I was nineteen and a sophomore. I have now taught 32 years. I got a part time job assisting in a preschool my first semester of college, by the second semester I had changed my major. When I was in kindergarten, I realized that I wanted to be a teacher! I come from a line of teachers, from grandparent, parents, and sisters – we all went into the field! I can’t imagine doing anything else! I knew during my first grade year. My teach was my stable constant in my life during this time. She instilled in me the love of learning . I loved when she would take out a story book and read to us. I wanted to be just like her. When I began substituting in 2006. I actually started college as a criminal justice major and quickly realized it wasn’t for me. I visited the lab school on my campus and immediately knew I wanted to work with children. Wouldn’t change that decision ever. I started college as a nursing major but changed before nursing school! Thinking about it, I thought I was going to be a teacher when I was a kid. I volunteered in a first grade classroom with a wonderful teacher my senior year in high school. There were so many teachers that influenced me over the years, and I had an interest in EVERYTHING so it just made sense! I knew I wanted to be a teacher in 8th grade when I started babysitting after school and I loved helping the girls do homework. I have always wanted to be a teacher. As a child I used to line up my stuffed animals on my bed (my class) and teach! I was probably 8 years old. When I was 15 and read P.S., You’re Not Listening, I knew I wanted to teacher students with special needs. I joined Teach for America out of college because I wanted to give back butbit showed me I wanted to teach younger kids. Third grade! I had the greatest teacher and wanted to be just like her when I grew up! Never considered anything else! I have always babysat but didn’t realize I wanted to teach kids until I took a high school class where I helped in a school with different grades. From then on I knew my purpose! I knew I wanted to be a teacher when I was raising my own and had a home childcare. I wanted to know more and how to be better. How to give them their best start. When you know better you do better, right? I loved student teaching in 2nd and moved to school age from there. I found so much to learn! And I’m still learning, every day. I’ve wanted to be a teacher since I was five years old. I would teach my Barbies, my stuffed animals, practically anyone that would sit still and listen! 18 years of teaching later, it’s still the best decision I ever made! As far back as I can remember! I had my own chalkboard when I was growing up and played school with the neighborhood kids all the time! Since I was little, I knew I wanted to be a teacher. Since I remember, I had a kindergarten teacher that I really appreciated a lot and I would always think about wanting to be like her. So here I am with 15 years of experience with those little mines that I love to work with every day ???? When I was in middle school. Some of the teachers didn’t want to work with the students who needed extra help. (That was me) So I promised myself I would be a teacher for children who need that extra love and help. I knew I wanted to be a teacher; when I started helping tutor students in my mom’s class; and seeing how happy and proud they were when their grades improved. I knew in Kindergarten! I had an awesome teacher and I wanted to be just like her! In 4th grade I had an awesome teacher that made learning so fun! I decided then to become a teacher. I knew in fourth grade that I wanted to be a teacher. Since I was little I remember taking spelling tests for each stuffed animal then happily grading them as if I didn’t know the outcome…. The outcome depended on whether brown bear was having a bad morning or if Shamu had done his homework. My imagination was vivid but always focused on the idea of schook, learning, and most importantly being a teacher. I was in high school when I decided to be a teacher. In 3rd grade we had a long term sub who taught us from October through the end of that school year. That substitute teacher saw something in me and chose me to help a class on kindergarten students once a week. I helped them find books and even read to them. From that moment I knew I wanted to be a teacher! I’m entering my 15th year of teaching this year and still love reading stories to my students and helping them discover books they will fall in love with! I knew I wanted to be a teacher after I had kids and volunteered in their classrooms. Their teachers encouraged me to go back to school. I knew I wanted to become a teacher my sophomore year of high school. My algebra teacher Mrs. Edwards did such a great job teaching math. She was able to help me love math. I wanted to be able to Foster this love of math for others. I figured starting at a young age children can learn to love math. I am now a preschool teacher and I am always giving the children items to count and encouraging number recognition. I would play school with my dolls when I was in kindergarten. My Aunt Laura was my Kindergarten teacher. I wanted to grow up to be a teacher like Aunt Laura! When I was very young, I always loved children!!! When I was in third grade in 1968 at the E.B. Newton School in Winthrop, Massachusetts, I had my favorite teacher, Miss Ingalls. She inspired me to be a third grade teacher! When I was in middle school I talked about being a teacher but influential relatives told me I was “too smart to be a teacher.” I went on to become an engineer and pretty much hated it. When my youngest child was in first grade, I began to substitute teach and told my husband I was amazed that people could actually have a career they loved. He encouraged me to go to grad school and now I am living a dream come true! I loved school as a kid but had no intention of becoming a teacher until my daughter went to kindergarten. I volunteered in her elementary school and when a position opened for a teacher assistant, I took it. Still, I didn’t want the responsibility of being “the teacher” and working in education was just “for now”. About 3 years into being a TA, I realized that I loved helping people love learning as much as I do. I wanted my own classroom!! Went back to school and have been living and loving the teaching life–problems, hard days, great challenges and all–ever since. I knew I wanted to be a teacher when I “played” school with all my neighborhood friends. I didn’t originally take that career path growing up, but I did finally come to become a teacher. I love teaching preschool and preparing the children for a Kindergarten. I knew I wanted to be a teacher when I began to help my father in his second grade class in high shool. I had always enjoyed working with children but I needed a part time job while I was in college and I signed up to sub. It was after being in a classroom that I realized I wanted teaching to be my career. That was 37 years ago! I played school all my childhood… and for the past 20 years as an adult I’ve continued that playing…❤️ Kindergarten rocks! My parents adopted 3 babies with Downs Syndrome. When I was old enough to see what my parents went through to make sure they were able to get to their full potential, I decided I wanted to work with special needs children. Since first grade. Loved learning and loved my teachers. Wanted to be just like them! I grew up raising my younger brother and sister. I just knew I wanted to take care of kids forever! When I was in third grade. I had a teacher that made learning fun. And for a kid that struggled in school that made all the difference. I knew I wanted to become a teacher when I was in 2nd grade because my teacher, Mrs. Henry, made learning so much fun and engaging. I was 35 years old and had already earned an Associates Degree in Occupational Therapy Assisting. I had been practicing for several years, but I needed a change and teaching was where my heart led me. My mom used to say that I was born to be a teacher. I taught neighborhood kids to read, I played school in my room until I was in high school. My aunt is a teacher, and she gave me her old plan books and grade books with the last couple pages left. Oh how I loved it! Now I’m a preschool teacher after starting out as a music teacher. My mom was right, by the way. ???? I knew I wanted to be a teacher when I was in high school. I got to take a college course and got to have the opportunity to observe in a 1st grade classroom. I helped the teacher and the students. I remembered what an impact my 3rd grade teacher made in my life. When I was about 4/5 years old, I would take my dolls/stuffed animals out to the backyard, place inside a quilt clothesline tent that my mom put up for me to play school. Also in the tent there was also a 4ft x 2ft piece of black chalkboard slate with a piece of chalk that I would write my name, numbers and letters for my “students”. I still have the slate and some of those “students”! Halfway through my degree in graphic design. I prayed about it and it just came to me that I am supposed to be a Kindergarten teacher. Haven’t regretted the choice. Everyone always told me I would be a teacher someday. I didn’t make up my mind for sure until I was a senior in high school. I knew I wanted to be a teacher when I see the smiles on the little ones face. And the moms that come up and say how much they appreciate what I do!!!!!!!!!!! I knew I wanted to become a teacher after working at a restaurant for a few years after high school, and making the decision to go to college. Teaching was the only thing I wanted to go into! I’ve wanted to teach on and off since I was a child. Thankfully i ultimately decided to be a teacher, bc I love it!! I told my mom I wanted to be a teacher when I was 5 years old! She wrote it in my baby book. I even saved my books as a child to read to my future classes. Fast forward to today: I’ve been a teacher for over 20 years! I started babysitting when I was about 15 and absolutely fell in love with helping children learn and grow! I have now gotten my masters degree in early childhood special education and am loving teaching my PK babes! I am a 4 th generation teacher and just always knew. Never wanted to do anything else. Starting year 39 this year. When I was in 3rd grade and was put in charge of the lower reading group when my teacher needed to step away. I knew after working in a day care for 4 years. I ended up going to college and majoring in elementary education. When I was a kid I wanted to be a teacher during the school year and a trapeze artist for the circus during the summer. I had it all worked out. I ended up getting distracted and dissuaded and went to business college instead. Ten years and a downsizing layoff later and I realized sometimes your childhood dreams are the ones you should have followed in the first place. I went back to school for teaching and have been working in education for the last 7 years. When I was 23 and about to go back to school. It was after I knew I wouldn’t make a good child psychologist and I still wanted to find a way to help children. In college, I made the decision my junior year after being an accounting major. Although when I think back to my childhood everything lead to me being a special education teacher it just took me a while to figure it out. After 18 years I still love teaching special education. It is definitely my calling. I wanted to become a teacher because my grandmother was a teacher. So was my dad, my aunt, and an uncle, but there was always this connection between me and my grandmother. She taught 3rd grade but I have always wanted to teach kindergarten. Until I met my two-year-olds. LOL! I teach prek now and I LOVE it! I first knew I wanted to be a teacher in high school when an English teacher I respected and liked told me I wrote well. She asked me about my plans after graduation and said she thought I would be a good teacher. My family thought I would major in music and become a music teacher, but I chose reading as my minor. I never regretted it, and I have taught music for years as well! In second grade when my teacher kept telling me what a great teacher I will make, let me help with silly tasks, and gave confidence back to me after having to repeat first grade. Thinking was there before that, but that is the first time I remember true faith in the possibility. When I was in fourth grade my mom went back to school to get her teaching certification. I was intrigued by her preparation for her classes and her passion for becoming a teacher. This was a huge influence on me. Thanks mom. At four or five years old I use to line my baby dolls up on the fireplace and teach them school. I would give them worksheets to do; well I kind of did then worksheets for them and pretended that they we’re done by the dolls. ????. Teaching has always been in my blood and I charish being able to influence the next generation in a positive way. I was about 5 years when I decided I wanted to be a teacher. My Maternal Grandparents were from Czechoslovakia and my grandfather was teaching me and my brother George Slovak. I would also read to my Grandma to help her learn more English words. We had Slovak school everyday. I enjoyed playing school with Grandpa so much old and told him I was going to be teacher when I grew up. I knew at a young age after watching the movie about Helen Keller. I knew from a very young age (first grade) that I wanted to be a teacher and my passion just continued to grow as I did. I knew I wanted to be a teacher when I started teaching swim lesson while in high school. Seeing kids go from being terrified of the water to swimming across the pool with confidence was the most rewarding experience ever. I had thought about teaching but it was when my daughter turned 3 and I saw the excitement of sharing things with her for the first time and seeing her eyes light up made me realize I wanted to do this same thing over and over with lots of children. Teach them, inspire them, make them laugh and see the world through their eyes! It was in first grade I knew I wanted to be a teacher. I was the teacher’s pet and would do any extra chores for her. When I had to clap the chalk erasers outside (that is how long ago this was), I told her that I did not mind clapping the erasers because I was going to be paid to do that in the future! I kept in touch with my 1st grade teacher who inspired me to become an educator. I have been teaching SPED children for over 36 years now and still enjoy getting up in the morning to go to school. I am changing the future, one child at a time! I remember wanting to be a teacher since elementary school. I did a job shadow of a first grade classroom in 11th grade! I knew when I was in kindergarten I wanted to be a teacher. My kindergarten teacher was a person that I admired and she made learning fun and interesting. In a full circle moment, when I did my internship I was lucky enough to work with her. To this day, she still inspires me to reach for the stars. I can not look back and say “this was the moment I decided.” For me, I just always knew working with kiddos is what made my heart happy! I did not want to grow to be a teacher, but I played school teacher with my brothers since I learned to read in Kindergarten. After failing to succeed in Nursing school I took career interest survey at the local Community College in 1985 which showed teaching is my thing. I am a fifth generation teacher from Vermont. I fact 90 years after my great grandmother graduated, I graduated from the same college (though the name of the college had changed). Currently, I am in Arizona after moving kit and kaboodle (and 2000 kid books in a UHaul) teaching reading. This year I am expanding to the middle school as well as the elementary school. Yay for teaching. it seems that all my youth I wanted to be a teacher, but it wasn’t until I was in highschool and became a Sunday school teacher that I knew this is what I really wanted to be. I had a student and he was crying, and since I was just sixteen I looked at my mentor to help me. She said for me to try and calm him down. So I spoke o him and he said that his father was in a really bad accident, that the cops were there and he was going to die in the hospital. He had lost his mother the year before, so he was really worried. After that story so was I. So I thought about what I was going to say. I told him that my dad had to get some surgery to the back of his head and he was in the hospital for a week. My mother had kidney issues and had to be in the hospital for forty days. I cut my finger and was in the hospital for a couple of hours. I said everyone goes in for different reasons and times but they do come out. He felt better and stopped crying and finished his art project. I prayed so hard that his dad would come out of this ok. His dad is great and made it though. I knew I wanted to be a teacher during my sophomore year of college. I was working at a preschool to pay for college and I instantly fell in love with kids and teaching them. I knew from a very young age. I babysat and when I would show a child something and then they could do it themselves with a big smile on their face I knew teaching was for me. I love seeing that. Since I was a little kid playing it in my basement with my siblings. In 3rd grade my teacher, Mrs. Green, took the time to listen to every problem I brought to school with me. She made me want to be like her. I spent the rest of my schooling learning about being a teacher. I wasn’t the best student, but I always tried my hardest. I have always loved being in school, and spending time with little ones. I’ve known I wanted to teach since I was 8 years old, and I’ve never stopped improving. When I saw the difference teachers were making for students and their families in my neighborhood of single parent homes and low income households. I often only ate because my teacher sent home “recipes” for her students to try (Bags of staples with simple recipe cards included.) I wanted to be that person for someone else one day. I actually completed 4 years of college, received 2 degrees in Psychology and Sociology, and got hired as a caseworker before I felt the call to teach. I learned through my cases that primary intervention is the key. I felt compelled to teach little ones how to break the system by falling in love with education. I went back to school 2 more years to get certified and have been a happy early childhood teacher for over 30 years. I feel as though I have made a lot of difference in the lives of my former students. Now I am an educator at our local public library. I continue to teach birth through college programs throughout the year. I now have children of former students in the library programs. It’s the best feeling in the world to see these former students out of the system. I knew the first time I saw DingDong school. That was a lpn time ago (1950’s) . I started working at a day care at age 16…that was it. I am now the teacher/director at my own preschool & can’t picture myself doing anything else! ???? After I became a mother myself, I was in awe when I watched my son discover the world around him and how fast he was learning and growing. I knew that I wanted to be a positive influence in his life as while as other children to help them to discover themselves and be the best they can be. In Kindergarten then again in 5th grade. I had amazing teachers both years and wanted to be just like them. I knew as long as far back as I can remember. My grandmother was a teacher and I really looked up to her. Used to play school with my siblings and my mothers daycare kids. Wanted to be an elementary school teacher, but life took me on the path of teaching preschool and I wouldn’t have it any other way! While babysitting around age 12, I just knew I liked kids. Senior year in high school I did an internship in a kindergarten classroom and was sure this was the future for me. I always knew I wanted. Early childhood vs older students, so I ended up in preschool in the end. I knew I wanted to become a teacher when I was 5 years old. I’ve always wanted to do something to change the world. At first I wanted to become a doctor, but I realized that I couldn’t bear to see people in pain. Then I wanted to become a singer and actress to make money to donate to charities, but I knew that reaching fame was unlikely. My love for learning and watching others grow has been ingrained into my heart, and for the last 10 years, I have been working with children. I graduate in May and will have my teaching license come next August, and I can honestly say I’ve never been more excited. I think I knew I wanted to become a teacher since my very first day of kindergarten! Junior High, I helped out with a kindergarten class for my home economics class. I’ve wanted to be a teacher since kindergarten. My teach,Miss Nancy, was amazing. First grade. Mrs. Muntean was my inspiration! Since first grade. My teacher, Mrs. Muntean has been my inspiration. I knew I wanted to teach when I was in Kindergarten. I had a wonderful teacher for PreK then again for K. They inspired me at such a young age. I’m about to be in my third year of teaching and I’m still in disbelief that I have reached my goals! I wanted to be a teacher in 3rd grade, but confirmed it in 10th grade while Volunteering with children. My sister and I always played school when we were little. As I got older, I babysat all the time and really enjoyed it. I always knew I wanted to be a teacher!! I now enjoy teaching my own littles as well and one of their favorite things to do together is play school! I remember always playing school when I was little. I loved pretending to be a teacher when I was in first grade and rememer telling my mother that I was going to be a teacher when I grew up. I always wanted to play school. When I was peer tutoring in the preschool class during my senior year of high school. When I was 10 years old and my baby sister was born. Helping her grow and learn was what kept me grounded in all areas of my life despite a rough childhood. I now teach kids with Autism using DTI and NET techniques. I decided to become a teacher after working with students as a paraprofessional. When I was working at a after school program while I was in high school. When I was in 8th grade. I had a teacher who pushed me to do my best and believed in me. when i was in third grade and enamored with my teacher miss ataide! she made learning magical! I knew I wanted to teach since 3rd grade. I used to play school when I got home with my dolls and stuffed animals. This year will be my 31st year. I can’t wait to meet my new five year old little friends! Thanks for the opportunity to win! When I had my first child. I couldn’t bear not seeing him and entered the world of early childhood. I fell in love with the early childhood profession and am still teaching 26 years. When I was probably 4 or 5 I would line up my stuffed animals and hold class. Always wanted to be a teacher but it took me until I was 33 to actually get the degree. When I went to college the first time I listened to my dad and went into business. Wasn’t for me. After I had my boys I went to work at their school as an aide and fell in love with teaching ????. Me we too late to pursue your dreams. I knew as a little girl. Playing school was my favorite activity with my sistees. The story goes that even when I was little, I made my family play school. In college, it was the career I kept coming back to. Since before I was in 1st grade 🙂 Now I teach it! When I started high school and I went to a Vocational school where there was an early childhood shop. I was immediately hooked to teaching. I’ve always wanted to be a teacher. I never thought about doing anything else. Babysat when I was a teenager, worked at summer camps and then a teacher. Still love it! As soon as I started school. Each year I wanted to teach the grade I was in. In high school I decided Preschool was the age group for me. In High School. I adored my English Teacher. And I have always loved kids. I had teachers in high school tell me that I would be a great teacher but I dismissed the idea. When I was 28 I decided that I wanted to sub at our local school district to earn a some extra money for our family. After doing this for a little while I realized my teachers saw something in me that I then saw. I started school and continued to sub when I was available. I think that this also gave me idea of the area and age of the students that I was most interested in working with. My father said he knew I would be a teacher when even as a toddler I pointed out book pictures to explain to my baby brother. When I was in first grade I came home every day and taught that same brother what I had learned. (He ended up skipping first grade!) After 46 years as an educator, I still teach part-time and love it!!! When I was younger it was always my go to answer when someone would ask me what I wanted to be when I grew up. But, I didn’t really realize it until my own son was diagnosed with a learn disability that really summed it up for me. I wanted to be be there for other parents like me that didn’t really understand the process of Special Education and their rights. When I was little I always pretended to play teacher then 13 years ago when my husband told me that was my calling is when I finally became one! When I returned to college the second time, I went into elementary education and started acing my exams and loved what I was doing. I think that was around age 21! I now have 1 year of experience and getting ready to homeschool my two daughters. When I was in 6th grade, I went back to visit my elementary school teachers and knew that I wanted to spend all my days as a grown up in that setting. When I began volunteering at my daughter’s preschool 14 years ago. I knew I wanted to become a teacher when I was 8. I would line up all my stuffed animals on my bed and teach them. I have always been a teacher. I was a teacher to my younger siblings and cousins. I helped my mom with her daycare and then when she got a job out of home I helped with a neighbors daycare. I was always asked to be a teacher’s assistant, summer rec teacher and tutor beginning in grade school. In high school I worked as a babysitter and nanny even while I had other employment, because I enjoyed it and was good at it. I went pre-med for 2 years in college before I realized my heart just wasn’t in it and I was meant to be a teacher. I knew I wanted to become a teacher since I was a little girl playing school with my siblings. also, I was inspired by my teachers to do something that will cause a great impact in someone’s life just as they did mine. When I was in college as an art student, I started working as a substitute teacher. Later I worked as a Media Specialist Assistant and returned to get my Masters Degree in Library Science. I have been working as a Teaching Librarian for 6 years now. My mom was a teacher and occasionally I would go to class with her. At home I was tasked with the fun jobs of bulletin boards, cutting out the laminating and marking tests. I was hooked early. I knew I wanted to become a teacher when I was in my second year of college. I was doing work study in a sixth grade classroom while in college. My dreams of being a forensic investigator had just gone out the door after watching a video on Dahmer and realizing I didn’t have the stomach for that kind of work. I’ve never looked back and I love love love my job! I’ve always loved working with kids. I was a camp counselor in high school and loved it. However, when I went to college, I majored in Psychology. By the end of my sophomore year I knew that wasn’t what I really wanted to do so I switched majors to Elementary Education—17 years later and I have not regrets. I can’t remember a time when I didn’t want to be a teacher. I first decided to be a teacher while working as a Girl Scout leader. I loved how those little minds were so excited to learn new things. When they finally understand and a light bulb went off in their head!! When my 3rd child entered elementary school. I knew I wanted to be a teacher when I realized how much I loved working in the classroom as a substitute paraprofessional. i didn’t i just applied for a job and 30+yrs still doing it! My preschool class loves Pete the Cat. We have all kinds of fun activities that we do with Pete. ???? Probably as early as 6 or 7 years of age I knew I wanted to teach young minds. I worked at varies factory jobs. I hated every minute of them. My middle child has Downs Syndrome. We was advised to put him in a child care center so he could be around other children. We got him in Head Start. While he was in Head Start I would volunteer at his center. I volunteered for a while. They asked me if I wanted to Sub.for them. Of course I said yes, because I loved seeing the children faces smile when I did the little things with them. I started out as a sub. and now I’m a teacher. I love to see the children grow and reach their mile stones. I knew I wanted to be a teacher when I was in first grade and Mrs. Katz was trying soo hard to help me learn how to read a standard clock. I didn’t get it until years later HER lesson sank its and I got it. Mrs Katz was dedicated and caring I hope I will inspire my students too. During grade school. I was the slow student who was always ridiculed for not understanding and had to sit in the hall because I didn’t get my work done in time. I was always in the slow group. And everyone (teachers and students) knew we were slow and we were teased and ridiculed. I vowed never to have a child feel that way in my class. When I was in first grade! I would come home all excited about my day at school and tried to teach what I had learned to my younger brother, who was 4 at the time and not interested in my lessons! I knew in 4th grade! My teacher asked us and he told me I had no idea what I was getting into! I have never regretted it! When I was in preschool, I never wanted to go in my own class, I’d go in the infant room and play with the babies. (helped that my grandmother owned the preschool.) I played babies ALL the time as a young child, and started working part time when I was a junior in high school at a preschool and am at the same preschool 25+ years later. I wouldn’t trade it for the world! I’m pretty sure I always knew! I loved going to school and knew I wanted to spend my life there! In 7th grade, I helped in a classroom of preschoolers. School and learning is life! I used to pretend be a teacher as a little girl and use my teacher voice with my brother. I’ve always knew that’s what I’ve wanted to be. It’s always been in my heart. When I started my student teaching I was so excited and it just confirmed my passion and love for my career. I thought about it a lot through high school and undergrad; however, everyone told me to do something else because teachers are so undervalued in our society. It wasn’t until after I graduated that I decided I didn’t care! If it’s your calling, it’s your calling. Since the third grade… when I was in second grade my father went head on with 18-wheeler. After the accident we spent year in very bad and abusive environment, and when left one abuse found self in projects with new abuse… I remember knowing I needed education and school was my escape. I had great teachers and wanted to do that for others. For me it was either going to be a teacher or a social worker. I started my career in social work and later switched to education. Never looked back 18 years and counting. Whenever we played “school” I always wanted to be the teacher! When asked what I wanted to be when I grow up I would always say, “I don’t know, a teacher I guess”. Declared my major as Interior Design. Realized I really should be a teacher when I was only getting A’s in the classes that corresponded with family and consumer science/early childhood. I fought my calling for so long. I always knew I wanted to be a teacher! I always looked up to my lovely mum who is a teacher herself! This year I couldn’t believe how lucky I was when I got to work with her!!! I decided I wanted to become a teacher when I was in third grade. Mrs. Schramm has always been my favorite teacher. Not only did she make learning fun, but she saw potential in me to to excel and believed in me when I didn’t believe in myself. So, I wanted to be someone’s “Mrs. Schramm.” Most of teaching is not giving them academics but to believe in themselves. Therefore, I am a reading interventionist and help students in grades kindergarten- fifth grade to get caught up on their reading skills but most importantly that they can do anything if they believe in themselves! When I was 30 I knew I wanted to be an ESE teacher. Growing up I needed ESE services and it was far and few to get it. I want to make sure kids didn’t have to go through the strugggles I went through. Being an ESE teacher is the most rewarding career! I ‘ve wanted to be teacher since 6th grade. I knew I wanted to be a teacher in fourth grade when I had an amazing teacher who made learning fun through MANY hands-on activities. She was very kind, caring, compassionate and I just LOVE her. She eventually became my boss for a short time and it was a wonderful experience. I strive to emulate her enthusiasm for growing little minds every day. I knew after participating in coop preschools with both of my children. I learned so much from my kids’ teachers and loved being able to participate in my kids’ education. When I had my first child. I knew when I was just a little girl. My mom was a teacher and I wanted to be like her. I love everything about school. I was substituting when the principal said to me. that I would be a great teacher. went back to school when my triplets were in 2nd grade and got my degree and certification. Since 2nd grade! Always loved being the teacher to my younger sisters and cousins. We even used to pretend the basement steps were the school bus. I have love working with kids since I taught Sunday School. I love the excitement when they begin to read, that I see in there faces. The classes I’ve read to love the beat of Pete The Cat !! They enjoy it immensely. When I worked as a teenager at a summer camp, I knew I wanted to work with kids. In high school when I decided to take an early childhood education class to see what it would be about. I knew I wanted to be a teacher since I was in the second grade. I always enjoyed helping other children and showing them how to do things. While in the second grade we did an art project where we traced our body and then painted ourselves to look like what we wanted to be when we grew up. I painted myself in a. blouse and skirt with high heals holding a ruler in my hand. I have always enjoyed working with children. I knew I wanted to be a teacher since I was in the second grade. I always enjoyed helping other children and showing them how to do things. While in the second grade we did an art project where we traced our body and then painted ourselves to look like what we wanted to be when we grew up. I painted myself in a blouse and skirt with high heels holding a ruler in my hand. I have always enjoyed working with children. I have always had a love for working with little ones. The defining moment came my sophomore year of college when I had to decide 2 more years for a teaching certificate or 6 more for veterinarian. Teaching won, I could never have passed the cadaver dissection. Been teaching ever since. As a little girl, maybe 8, lining my stuffed animals up in a row to have class. My mom covered a piece of paper with clear contact and stuck it to my closet door so I would have a board to write on with my markers. They were much quieter than my class today, maybe my classroom management is slipping. I knew I wanted to become a teacher when I started working in the school system 14 years ago as a TA! I knew that I could make a difference and that it was my calling in life. I’ve always loved children and have worked with them since I was young. I just always teaching was was my passion. I was babysitting by the time I was in 5th grade and knew I wanted to work with kids even before that. I love kids and I loved school–perfect fit! I always wanted to be a teacher, but life threw some roadblocks my way in college and I changed to business. I stayed connected by volunteering or helping with childrens activities. Years later I had the opportunity to work at my younger children’s preschool. It was like coming home. I have been there for 14 years and still love it. Many school years but I definitely knew by my senior year of high school. I knew I wanted to be a teacher back in elementary school probably third grade. My grandma and aunt were teachers so I was able to see their passion.